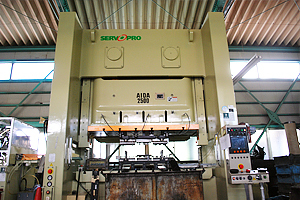 Strength of Saito Press Kogyo | SAITO PRESS CO.,LTD. 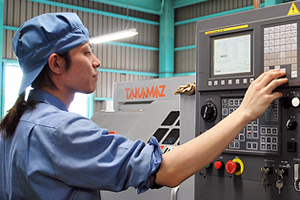 By a self-developed automatic brazing machine, I can offer a low-priced product by a mass production. I weld a machined press part and curve pipe in the company and perform the strength guarantee with the strength examination device. 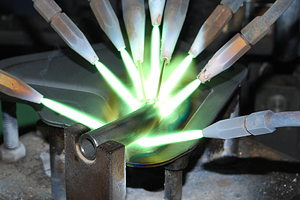 The brazing is a kind of the welding that is a method to join metal. I can let you join plural materials without letting matrix in itself melt by dissolving an alloy (wax) having lower melting point than a material (matrix) to join, and using it as a kind of adhesive. An alloy to use for brazing is called hard wax, and silver wax using the silver alloy is used many most in the field of the metalwork. 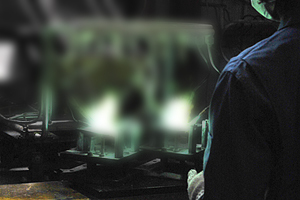 We perform the production using the automatic brazing machine and cope with mass production. In addition, I produce the jig in an office, and the brazing of a complicated shape and plural parts is possible. As well as production, I perform an examination for thorough product and keep the reduction of the defective article by the all quantity inspection in mind every day. The monthly production supports approximately 40,000 and mass production and copes with small lot again. In the case of small lot, an expert worker welds it. In us, I braze it using brass wax for brazing. Strength is suitable for a required part, and, as for our brazing, welding is possible again without dissolving material. I do the suggestion to a visitor than a plan design and reduce the extra expenses such as trial manufacture tries. 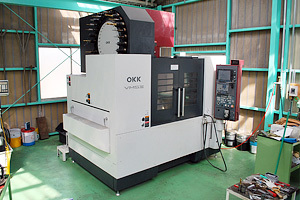 I can contribute it as a half finished product by an experience-rich skill person from a die design to production, mass production processing (press, pipe lathe, welding), surface treatment, subASSY. I reduce the management man-hour of the visitor. Including a servo press, an NC lathe, a welding robot hold various facilities and make up in response to needs of position. 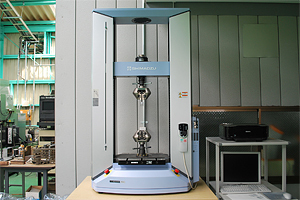 In addition, as confirmation of the validity, I introduce materials strength testing equipment and offer low price, a product of high quality.